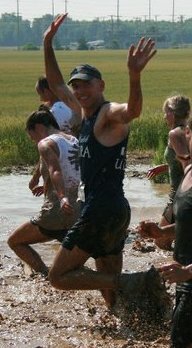 30+ and also a few Ultras: 40 miler; 6 and 12 hour races. Watching movies, Triathlons, Space & Astronomy, HAM Radio. Bagel & Banana before; Banana and gel’s during. Running groups in St Louis and/or my wife. I run to relieve day to day stress, to stay fit and for the social aspect of it. I have two: 1. Running the beautiful Newport RI marathon one day after running the Hartford CT marathon. I got dehydrated at Hartford and was cramping badly. Despite that, I was able to run Newport with very little walking. 2. 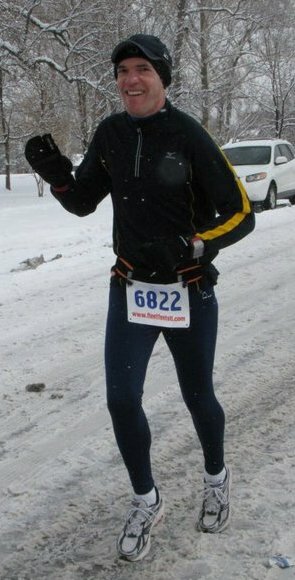 Setting my PR on my 3rd Boston (2010). 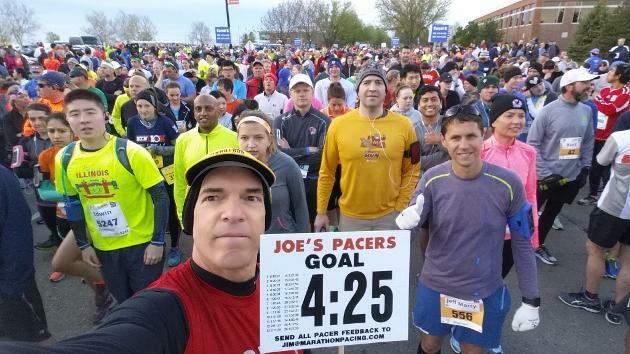 It is very satisfying to help other runners achieve their goal pace! 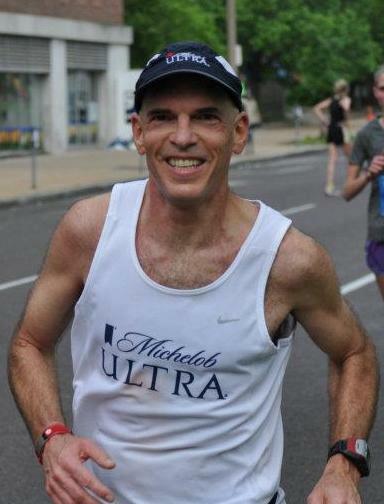 Pacing my hometown marathon (St. Louis) because I knew so many runners and spectators. For a few reasons: It’s the best pace for you! ; I keep a steady pace; I’ll help and encourage you to keep up; I have lots of stories to tell to make the time pass by quickly. Make sure the pace is realistic for you. Even if you ran 20 miles at this pace, keeping it for the entire 26.2 miles is a different story. Make sure you know how much to drink (and eat) during the race. Follow what you tried during your longer training runs. I started to run at age 42. I trained from zero running to running a marathon with a local YMCA group led by Pacer Josh S. The marathon was on 04/04/04. I donate to various organizations throughout the year and I volunteer at many local race events.